Your students are sure to enjoy this fun Christmas crossword puzzle. This pack comes with a crossword puzzle, answer key, and a word list. 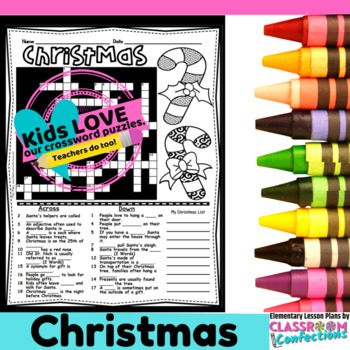 There are fun themed patterned pictures of candy canes for students to color if you need to give them some down time. 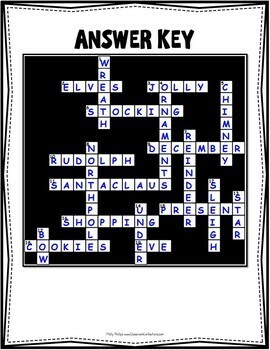 The Christmas crossword puzzle comes with a separate word list if you want to give it to students when solving the crossword. The word list prints 3 to a page. This might be something you want to consider for 2nd graders. Consider your students' ability levels when deciding whether or not you want to give them a word list. For students in third or fourth grades, I probably wouldn't provide a list. 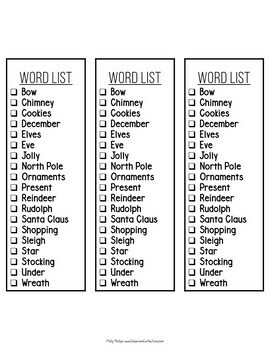 What words are included on the word bank for this Christmas crossword puzzle? There is also a place for students to write items on their Christmas list. This is fun for students to share.